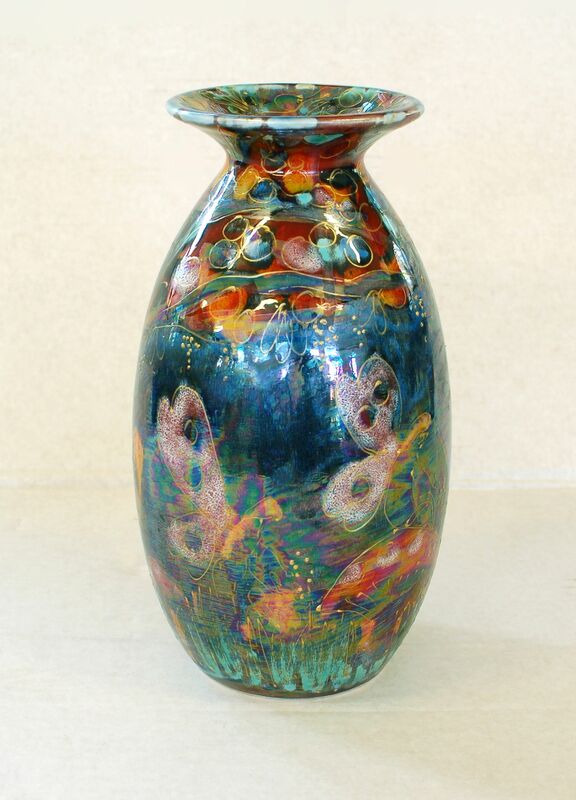 Fairy Dust Lustre Minos Vase. 21cm high. Hand painted.